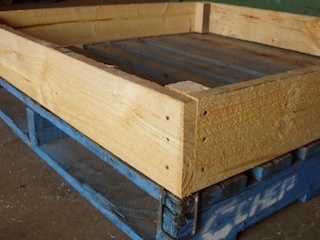 Northern Pallets and Crates - pallets, crates and boxes built in Adelaide's northern suburbs " "> "
Our Pallet Wall is an innovative new product that provides a simple wall that clips to a pallet. This wall provides a simple and inexpensive storage for irregular items. If you currently strap or shrink wrap odd shaped items onto your pallets, the Pallet Wall is the answer. Held in place by the simple patented Pallet Wall Clip, the wall requires no tools to attach or detach from the pallet. 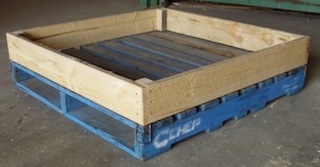 The Pallet Walls can also be stacked to make instant crates of variable height to suit each particular need.